Our dear friend Patty flew in for the weekend. She brought lots of love and laughter. But when she pulled this recipe out of her luggage, we really got the party started! 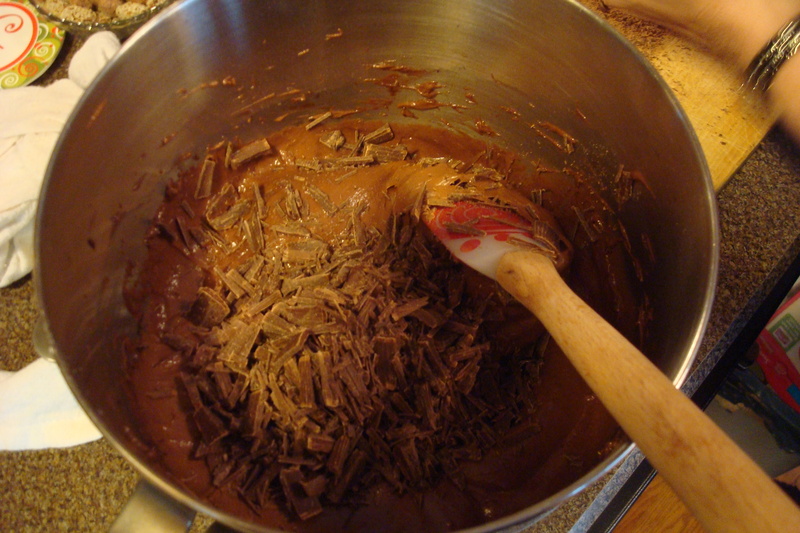 Method ~In a mixing bowl, combine the cake mix, pudding mix, eggs, sour cream, vegetable oil, and water. Gently, but thoroughly fold chopped Frango Mint pieces into batter. 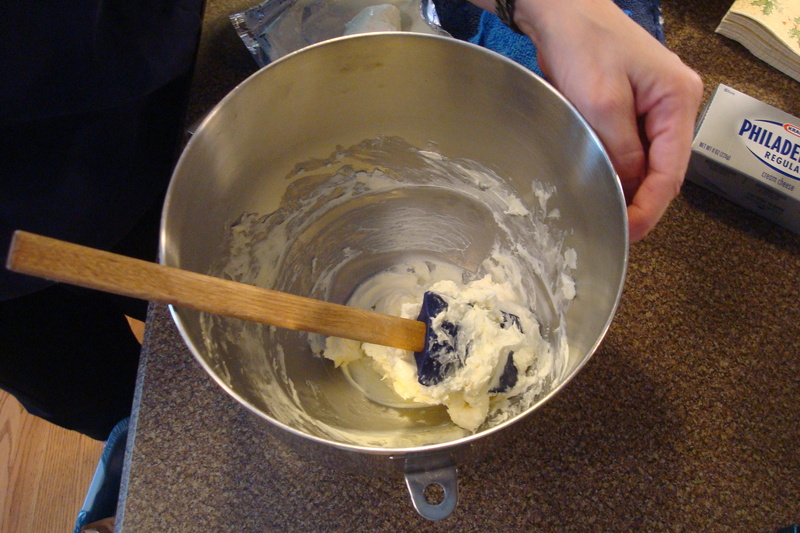 Pour into a greased/oiled (Bak-klene, or Pam) Bundt Pan. Bake at 350 degrees for 55 minutes, or until a long toothpick comes out clean. 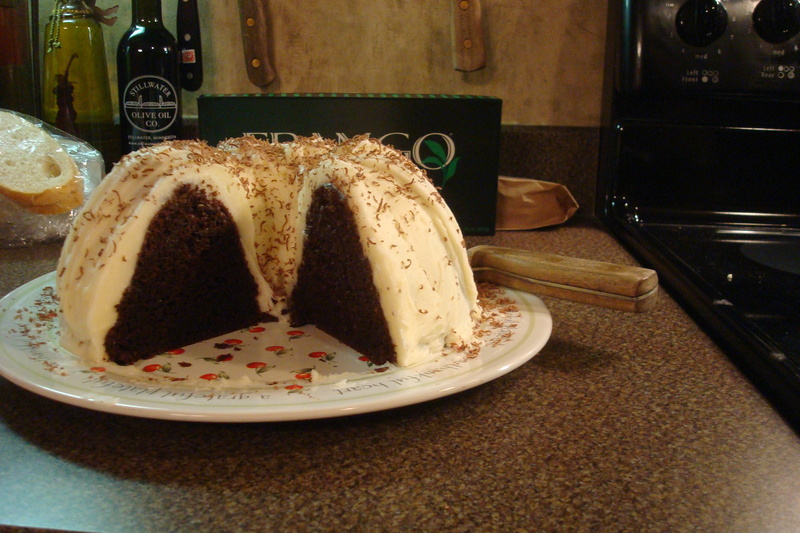 Allow the cake to cool slightly, then invert the Bundt Pan onto a plate to release the cake. Let the cake cool thoroughly before frosting.